Since the directions sought by ICCL did not relate to identified claims, Ms Justice Mary Finlay Geoghegan said that the Court could not properly determine what may be difficult and complex issues. The Investor Compensation Act 1998 (as amended) gives effect to Directive No. 97/9/EC on investor compensation schemes, which obliges Member States to have an investor compensation scheme which requires cover to be provided for claims arising out of an investment firm’s inability to repay money owed to or belonging to investors or to return to investors instruments belonging to them, each in connection with an investment business. The Investor Compensation Act 1998 established the Investor Compensation Company DAC (ICCL), and Part III of the Investor Compensation Act 1998 provides for the payment of compensation to investors in the amount of what is termed “compensatable loss”. This is defined in s. 30(1) as 90% of an eligible investor’s net loss or €20,000, whichever is the lesser. Section 33A provides for the Court to appoint the person appointed as liquidator of an investment firm also as administrator for the purposes of the Investor Compensation Act 1998 – therefore Mr Kieran Wallace, the official liquidator of Custom House Capital, is also the administrator for the purposes of the compensation scheme under the Investor Compensation Act 1998. An order for the winding up of CHC was made in October 2011, and at the same time Mr Wallace was appointed as administrator for CHC for the purposes of the Investor Compensation Act 1998. In March 2011, CHC had over €1.1bn in client assets and €24m in cash in designated client accounts. CHC had over 1500 clients at this time. Prior to winding up, it was estimated that a significant amount of client funds had been misappropriated, so it was clear there would be applications for compensation under the Investor Compensation Act 1998 and the ICCL was put on notice of this. ICCL applied to the Court to direct Mr Wallace to bring an application for directions pursuant to s. 231 of the Companies Act 1963 or alternatively, to permit it to bring an application for directions in relation to a dispute concerning its claim to be entitled to be subrogated to the right (or certain of the rights) of clients of CHC to whom it has paid compensation in relation to client assets still under the control of CHC or the liquidator. Ms Justice Finlay Geoghegan said that the Court should only decide any disputes concerning claims by ICCL to be entitled to be subrogated to rights of compensated clients of CHC to their client assets in relation to actual claims made and disputed – she said that it was necessary to decide the probable many issues in relation to actual facts pertaining to identified clients and their assets not yet returned. As such, ICCL would have to identify the compensated clients – or at least a representative sample – and the rights of those clients to which it claims to be entitled to be subrogated. Stating that she appreciated that this might require ICCL to obtain further information from Mr Wallace, Ms Justice Finlay Geoghegan said she could see no reason why this could not be done. In regards to a question of whether the proposed application could be brought in the liquidation proceedings, Ms Justice Finlay Geoghegan said that if ICCL “were to make claims to be subrogated to the rights of identified compensated clients in relation to his assets still remaining under the control of CHC and those claims are (as is probable) disputed, then it may be that such disputes should be determined by an application in the liquidation proceedings”. 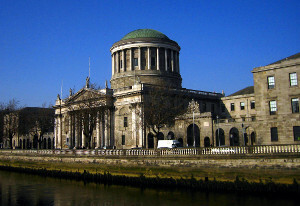 Ms Justice Finlay Geoghegan added “…whilst the subject matter of the potential dispute may relate to the work which the official liquidator is required to do as part of the winding up, it does not necessarily follow that he would be obliged to bring an application for directions under s. 231 where the essential dispute is between ICCL as claimant and clients who oppose the ICCL’s right to be subrogated”. Since the directions sought by ICCL did not relate to identified claims, Ms Justice Finlay Geoghegan said that the Court could not properly determine what may be difficult and complex issues and refused ICCL’s applications.